Japan’s Chief Cabinet Secretary, Yoshihide Suga, issued a written statement in the last week of 2018 announcing the government’s decision to withdraw from the International Whaling Commission, IWC, in order “to resume commercial whaling” within its territorial waters and exclusive economic zone up to 200 miles offshore. If all goes according to plan, Japan’s 65-year membership in the IWC will end on June 30, and Japan has given itself permission to resume commercial whaling operations in its own waters anytime after July 1, 2019. Whale conservationists differ on whether the Japanese move will help whales recover from centuries of commercial whaling or not. 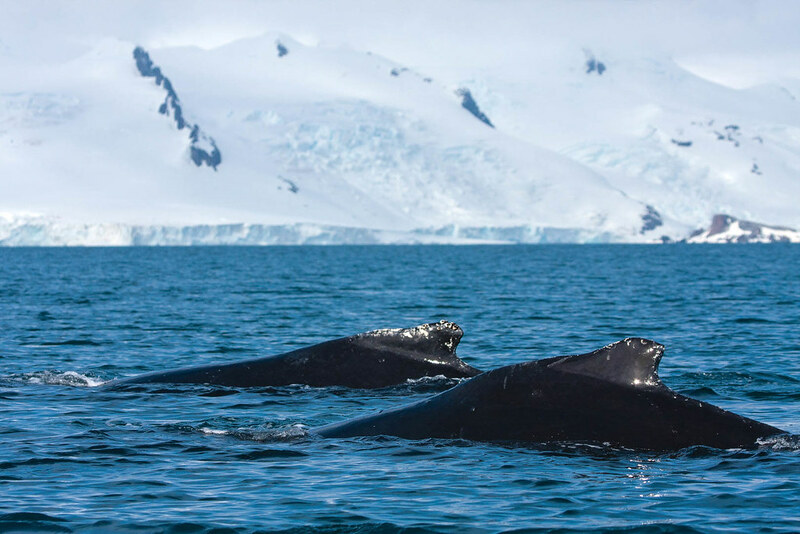 “If Japan continues with its plan, it will become the first pirate whaling nation that kills whales for commercial purposes outside the competence of the IWC,” warns Elsa Cabrera, executive director of the Chilean nonprofit Centro de Conservacion Cetacea, accredited observer to the IWC since 2001. Cabrera says Japan should not be allowed to get away with the move. “The costs associated to this conduct should be high enough to discourage Japan as well as to prevent other countries from following this alarming example of contempt to the rules of international law,” she said. The International Whaling Commission, with 89 member governments, was established in 1946 to conserve whales and manage whaling around the world. It imposed a ban on commercial whaling in 1986. Under the ban, whaling for scientific purposes is exempt. Japan has been accused of using that exemption as a cover for commercial whaling. Whalers would supply some whale body parts to researchers and sell whale meat to markets for human consumption. Although Japan is the world’s main market for whale meat, consumption there is limited. Japanese people eat an average of about an ounce per person per year, or a total of between 4,000 and 5,000 tons annually, according to a report by the Animal Welfare Institute, a nonprofit that seeks to ease animal suffering, and the nonprofit Environmental Investigation Agency, which monitors international wildlife crime. Shimonoseki, on the western tip of Japan’s main island of Honshu, celebrated the return of the whaling fleet late in March. The factory ship, Nisshin Maru, was loaded with the meat from 333 Antarctic minke whales. The whalers were already out at sea when Secretary Suga announced Japan’s withdrawal from the IWC, so this past season is supposed to be the last that Japanese whalers hunt in the Southern Ocean Whale Sanctuary, where the International Whaling Commission has banned all types of commercial whaling. 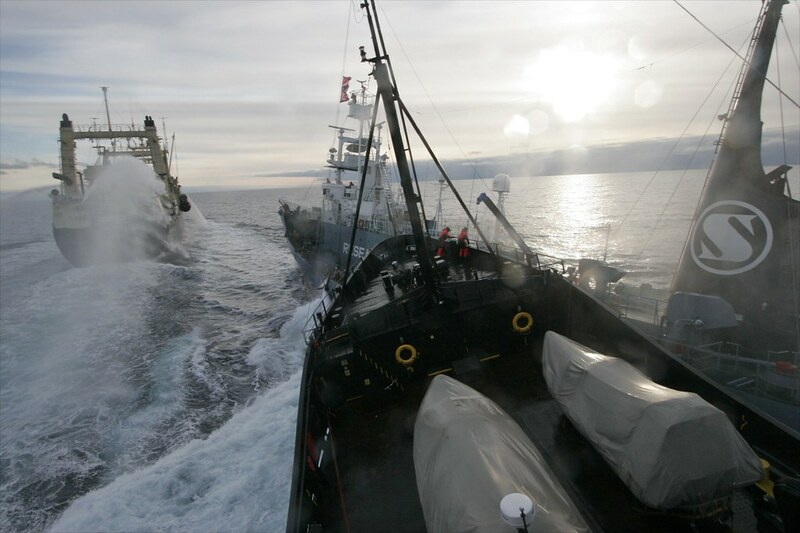 For years, the international nonprofit organization Sea Shepherd has fought Japanese whaling operations in the Southern Ocean Whale Sanctuary, with expeditions to Antarctic waters from the first one in 2002, followed by continuous campaigns from 2005 until 2017. During this period, due to Sea Shepherd interventions over 6,000 whales were saved from the harpoons of Japanese commercial whalers posing as research whalers. In 2017, the Japanese government began to invest millions of dollars in security efforts to prevent Sea Shepherd from engaging their fleets. These security measures included military grade, real-time surveillance. Although this prevented Sea Shepherd ships from returning to the Southern Ocean in 2018, it also placed Japan in the position of expending huge resources on continuous security. The cost to Japan of preventing Sea Shepherd intervention became very expensive. With Japan’s announcement, Sea Shepherd says the group’s objective of ending the slaughter of whales in the Southern Ocean Whale Sanctuary has been realized. “This is a victory for the campaign to make the Southern Ocean a whaling free zone,” the group said in a statement. When Japan actually withdraws from the International Whaling Commission Watson points out that it will allow the IWC to pass the motion to establish the South Atlantic Whale Sanctuary, effectively ending whaling in the Southern Hemisphere. The Animal Welfare Institute also welcomes Japan permanently ending this heavily subsidized industrial-scale whaling in Antarctica, where many species of whales have endured more than a century of almost nonstop commercial exploitation. “We hope that Secretary Suga’s statement that Japan’s “whaling will be conducted in accordance with international law” signals Japan’s acceptance that its landing of sei whales taken on the high seas of the North Pacific violates the Convention on the International Trade in Endangered Species of Wild Fauna and Flora and that this hunt will also end. Secretary Suga announced that Japan will “cease the take of whales in the Antarctic Ocean/the Southern Hemisphere” and “will conduct commercial whaling within Japan’s territorial sea and its exclusive economic zone,” but it does not specify the number of whales or species to be taken.